Shahid Kapoor and Mira Rajput welcomed their daughter on Friday (August 26) evening. Mira was rushed to the Hinduja Healthcare Surgical Hospital in Khar, Mumbai day before yesterday, where she delivered the baby. The baby girl arrived at 7.56pm and weighs 2.8kg, says a report in DNA. Dr Kiran Coelho headed the team that helped Mira deliver her daughter. It was a normal delivery. Mira was due in mid-September. However, she was taken to the hospital on Wednesday evening, after Shahid’s parents Pankaj Kapur and Supriya Pathak paid the couple a visit at their Juhu residence. Over the last couple of months, ever since news of Mira’s pregnancy broke, Shahid’s Instagram account has been flooded with super-adorable photos of the couple. From a babymoon to glimpses of their moments together, Shahid has been giving his followers on social media a peek into his and Mira’s pre-parenthood lives. 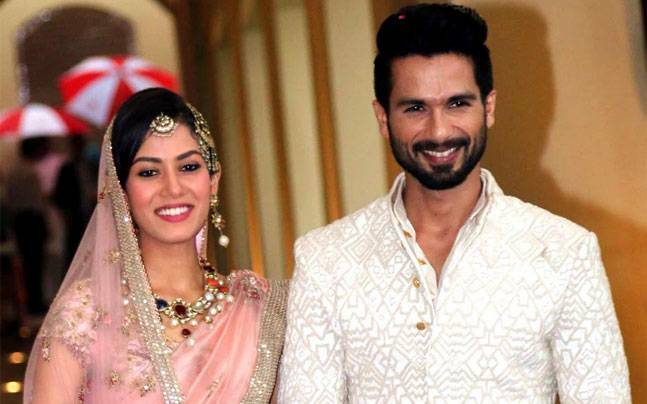 Shahid has been by his wife’s side all through, putting everything else on the back burner. On the work front, the just-turned-father will soon be seen on the big screen in Vishal Bhardwaj’s upcoming film Rangoon, alongside Saif Ali Khan and Kangana Ranaut.